TeFoc in association with M/s .Optibelt – Germany provides power transmission solutions for various industries and applications. These belts are equipped with high Quality raw material with renowned German manufacturing process. Variable Speed Belts like Super VX & Super DVX are preferably used for infinite variable speed controls. Their special belt structure allows high dynamic loads with superior power transmission capabilities & good control characteristics. Omega , Omega HP, ZR ,L,XL,MXL, M & SM profile belts provides better synchronisation & ensures more efficiency & longer life. 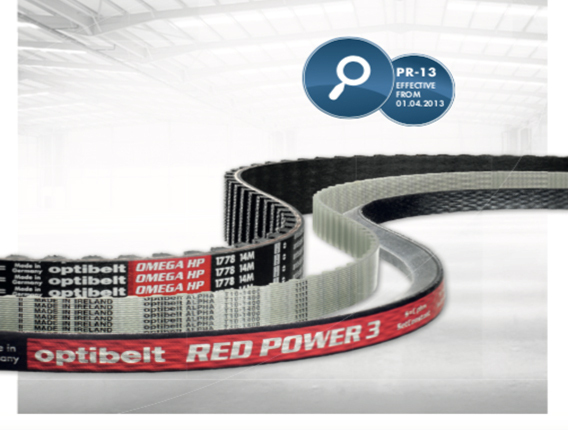 Optibelts PJ, PK & PL sized Ribbed belts are more rigid & efficiently transfer the power with better service life. Optibelt Laser Pointer- This Tools quickly checks the misalignment in pulleys & it can be aligned quickly with more accuracy. This ensures longer service life of belts & reduced power saving due to misalignment. TT Line is the latest technology tool available for checking the belts tension during the mounting of the belts. This tool comprises of high quality components with USB ports to store & transfer the tested readings. TeFoc as a Authorised Distributor, stocks & sell these Belts & service tools from our Coimbatore Office.